“We cannot recycle our way out of our plastics problem. The only way is to eliminate its use in the first place.” – L.A. City Councilmember Paul Krekorian. The City of Los Angeles has long been a leader on environmental issues. The city’s plastic bag ban took effect in 2014, following years of advocacy by Heal the Bay’s science and policy team. Thanks to that effort, momentum built for a statewide ban that went into effect in 2016. Since then, we have seen a marked reduction of single-use plastic bags in the state – some 70% reduction in bag litter, according to Californians Against Waste. This week, the L.A. City Council made more progress toward moving forward on two new and critical goals to help reduce waste locally. 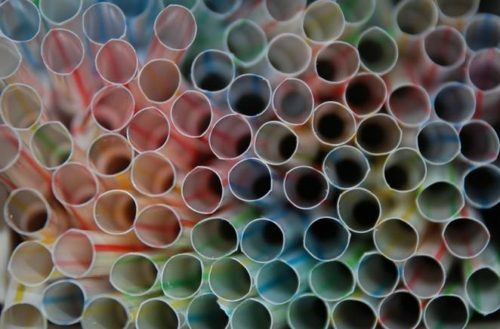 First, the Council voted unanimously Tuesday to craft a plastic straws ordinance that takes the statewide ‘single-use plastic straws on request’ policy even further. The new measure would require customers to explicitly ask for a plastic straw at all food and beverage facilities in the City of L.A., with a goal of phasing out single-use plastic straws by 2021. Heal the Bay volunteers have removed more than 2.5 million pounds of trash from L.A County beaches, rivers and neighborhoods. Most of this trash consists of plastic, polystyrene and single-use items. Since 2000, Heal the Bay volunteers have picked up more than 126,000 straws and stirrers — these materials pose serious risks to our environment and local wildlife. It’s becoming clear that we cannot continue to look at this plastic waste problem item-by-item; we must address it comprehensively. The negative impacts of single-use plastics on our oceans are well known. If we do not change our practices, there will be more plastic than fish in the world’s oceans by 2050 (by weight), according to a recent study. Only a few hours after the full Council voted to move forward with drafting the Plastic Straws-On-Request Ordinance with hopes of implementing it by Earth Day 2019, its Energy, Climate Change and Environmental Justices subcommittee also voted unanimously to propose an even more comprehensive zero-waste initiative to address ALL single-use plastic waste. The zero-waste initiative instructs the Bureau of Sanitation to analyze the feasibility of pursuing alternative approaches to waste reduction (besides recycling). Examples include measures adopted by the EU (25% reduction in plastics production by 2030) and those in Berkeley (ban all single-use foodware used by restaurants and other food establishments). The Bureau of Sanitation will report back to the Council within 60 days with a report on its findings and recommendations for further action. 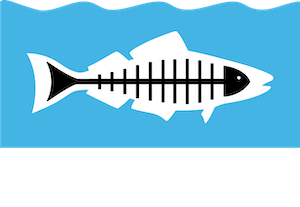 Heal the Bay is heartened to see the city taking a firm stance on the critical issue of plastic pollution. As demonstrated by the plastic bag ban, the changes that we make here in L.A. can have far reaching impacts beyond our borders. We have the opportunity to stand by California cities like Berkeley and Santa Monica, which have pursued aggressive plastic reduction efforts. Beyond curbing waste in our home, the measure would serve as a strong example for the almost 50 million tourists who visit L.A. each year. When L.A. makes noise, the rest of the world listens.